We were musing yet again about the changing shape of our industry. It had been a long week and the Infinite Ideas boys and girls were enjoying a Friday afternoon drink to relax before the weekend. 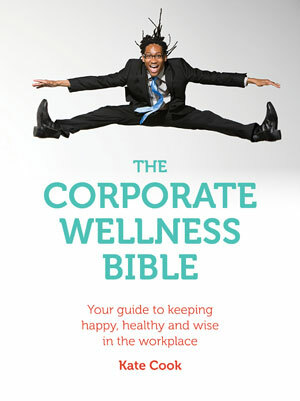 We’ve just published The Corporate Wellness Bible (which has some interesting observations about alcohol and the workplace but we weren’t talking about that at the time…) and what a great response we’re having to it. It’s a book that is really needed as organisations around the globe recognise the importance of fit, healthy and happy employees. If we’d published it even ten years ago, we’d have been reliant on a handful of booksellers in each of the territories we’re active in to make or break this title. If the chain buyers liked it, then fine and dandy, we were all happy. But if they said no – well it was an uphill struggle from then on in. Nowadays though, it’s different. Sure we still love it when the High Street book trade (what’s left of it, anyway) get behind one of our books but we are realistic. They can’t support every book that’s published and they do tend to concentrate on high-volume best sellers, meaning that some titles (The Corporate Wellness Bible included) miss out on shelf space. But in the digital world, this matters less for publishers. We can reach out to the market through intelligent (and non-intrusive) use of social networks. And the physical book is available through online bookstores and will be with you in a couple of days from ordering it. Better still, you can download an e-version instantaneously. But the opportunities are even bigger than that. In this brave new world, we’re more than just book publishers. We’re content providers, too (Take a look at our Wordgen tab if you’d like to find out how you can harness the power of our inspirational ideas). If a multinational wants great content on keeping their workforce hale and hearty, they can license it from us. Because of the way most of our books are constructed they can buy a single chapter, or the whole work, for use on their intranet or their corporate blog. Alternatively they can licence the whole thing and we can print a bespoke version for them. That’s the reality – a simple printed book is just the start, just one delivery method for great content. If you consider all the delivery platforms for that content – through the web, text messaging, apps, audio etc – the days of being reliant on a handful of all-powerful buyers are long gone. A well-published book can reap huge benefits for the author. In 2006 RainToday.com and Wellesley Hills Group published a report that confirmed this. Titled The Business Impact of Writing a Book, it was based on an extensive study of business book authors, an impressive 96% of whom reported that publishing a book positively influenced their business. The book improved their brand, generated more speaking engagements, and generated more clients, better clients and more leads. Authors were able to charge higher fees as demand for their services rose and the book allowed the business to close more deals. The overwhelming outcome of this research was, ‘Assuming you have something worthwhile to say in a book, write one!’ If you need further confirmation that book publishing can be an enormous boon find out below what some published authors have to say about their experiences. 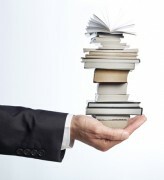 A published book (accent on ‘published’) can bring a string of powerful indirect benefits. It can boost a CV. It can take the place of a business card, with 1000 times the impact. It can open up lucrative speaking or consulting opportunities. It can enhance an author’s reputation in a defined target market. Barry Gibbons, former CEO Burger King and author of six books including If You Want to Make God Really Laugh Show Him Your Business Plan: 101 Universal Laws of Business, and Five Loaves, Two Fishes and Six Chicken Nuggets: Urinations from inside the fast food tent. Being a published author has provided me with a significant second platform of authority. My business experience and achievements to date are critical for sure but being published has extended that authority beyond the world of project management into a wider audience. As an author I am finding doors opening with greater ease and indeed, in some cases, the doors of opportunity are being opened for me by others – which is a very nice experience, especially if you are ‘lazy’ like me! 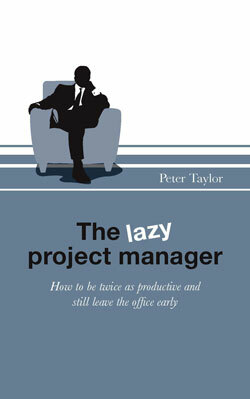 Peter Taylor, EMEA PMO Director at Siemens PLM and author of The Lazy Project Manager: How to be twice as productive and still leave the office early. Publishing a book has allowed me and my business to achieve significant new credibility. The journey from the initial idea through to seeing copies of your book in the hands of customers is exhilarating. The journey required a heightened level of commitment but the prize was worth every ounce of energy. New doors open, your profile and authority are seen in a different light, it becomes easier to turn business enquiries into contracts and other platforms, for you and your business, emerge. Since writing Turn your sales force into profit heroes I have been on TV and had numerous articles published in respected journals and online for my industry. All that plus the buzz of seeing your work professionally presented on a retailer’s shelf or website. Peter Brook, founder and MD REL Sales Consulting and author of Turn your sales force into profit heroes: Secrets for unlocking your team’s inner strength. Having my book published by a recognised publisher was the most significant thing that I could do to add value to my business. It added huge credibility to the message I am delivering and positively impacted the business. We picked up some major clients as a result. Penny Ferguson, CEO PFL Ltd, 2008 Business Woman of the Year and author of The Living Leader: Become the leader you want to be. When I started my business there were quite a few speakers on the subject but I was the only one with a bestselling book in the market and it resulted in a quantum leap in bookings to speak at conferences. 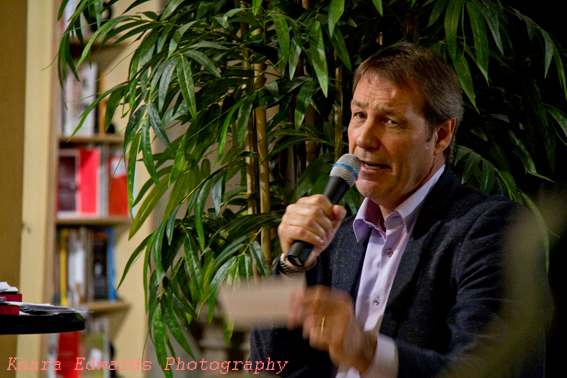 I’ve since written seven more books and each time a new book hits the shelves I receive a boost in business on the speaking circuit. Catherine de Vrye, former Australian Executive Woman of the Year and author of Good Service is Good Business. The Financial Times guide has led to a lot more writing work and invitations to run workshops and develop training courses as well as coaching work. Romesh Vaitilingam, author of global bestseller The Financial Times Guide to Using the Financial Pages. Writing my books is definitely the most important investment I have made in my business. It totally changes people’s perception of you, increases your day rate by 100% and brings you into contact with people and opportunities that would never normally come your way. I am still amazed by the number of people I meet who know of me already because of the books. They are the only advertising anyone would ever need. Will Murray, author of Corporate Denial: Confronting the World’s Most Damaging Business Taboo. 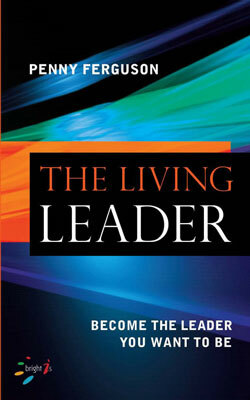 A book makes you stand out from the crowd when pitching for consultancy work. Annemarie Caracciolo, author of Smart Things to Know about Teams. Being a published writer has generated consultancy and coaching work for me, not to mention invitations to speak at conferences and run workshops. In many ways, the royalties a book earns are the least important part of the financial equation. John Middleton, author of Smart Things to Know About Your Career and Writing the New Economy: The Ultimate E-business Library. As a consultant it is critical to be credible in front of clients, especially in the early stages of the relationship. One of the ways to develop near instant credibility is to have published books in the area of expertise in which you are consulting. There have been numerous occasions where, because of the books I have written, the client engages more readily and at a different level. This not only helps to build relationships and allow the client to trust your professional judgement, but it also helps to close sales. Andrew Holmes, consultant and author of Carl von Clausewitz’s On War: A modern-day interpretation of a self-help classic and The Painspotter’s Guide to Broken Britain. Having a business book published can give instant credibility to an author, especially if it’s in partnership with a major publisher. This can open the door to a lucrative speaking career, especially if the author has some charisma. Brendan Barns, CEO Speakers for Business. Having a book published bestowed instant credibility and authenticity. The result of being a published author is that I am taken more seriously. Since the publication of The Book of Luck my network of contacts has broadened considerably and as a consequence I have won search assignments that otherwise I would not have been considered for. I have found that doors have opened that previously would have been closed and I use my book as a calling card to speak to people at the highest level. The book has replaced my company brochure. The publication of a book opens up marketing opportunities second to none. My advice to anyone in a consultancy business is, forget the brochure and produce some original material in a book form and you will reap the benefits. Anne Watson, author of The Book of Luck. By far the most credible way to build your brand is to get a book published. A published book opens doors, it gets people to pay more attention to you, it adds robustness to your CV, it generates more enquiries, it gives you the best calling card possible as well as cool collateral for meetings and conferences and it starts the process of becoming a thought-leader. 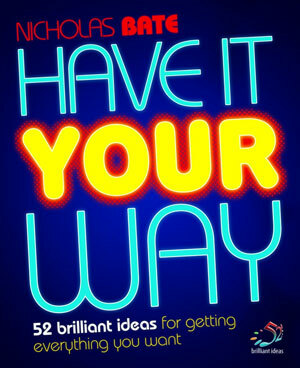 Nicholas Bate, CEO Strategic Edge Ltd and author of Unplugged and Have it your way: 52 brilliant ideas for getting everything you want. Once one person has believed in you (i.e. your publisher) then of course a book opens other doors (in my case for example loads and loads of TV production companies have contacted me). It is a great PR tool for the business too. Kate Cook, CEO The Nutrition Coach and author of Get healthy for good: 52 brilliant ideas for mind and body wellbeing. 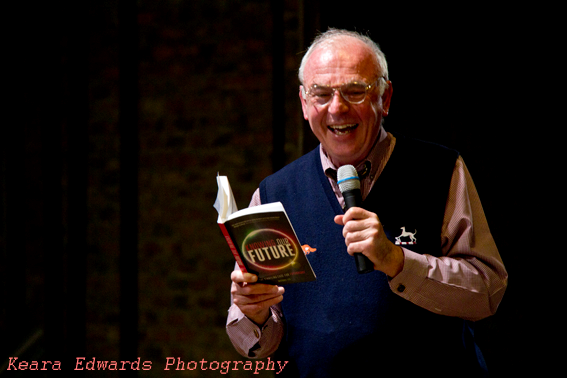 We’re delighted to have received pictures of a recent launch in South Africa for Michael Lee’s new book, Knowing our Future. 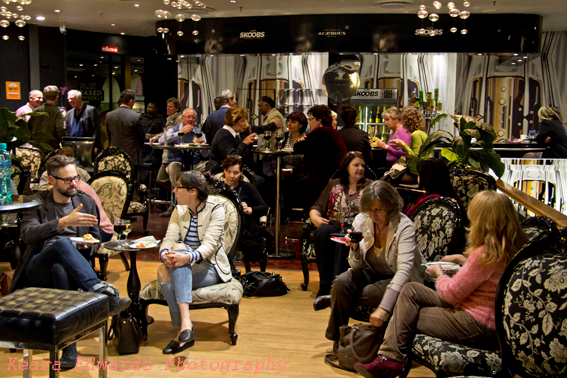 This wonderful event took place at Skoobs Theatre of Books in Sandton, Johannesburg. Sadly no one from the Oxford office could make it over which is a pity as it looks like a great party – and we do enjoy a party. The great and the good attended and we’re looking forward to seeing some strong media coverage. The party in full swing – shame we missed it! 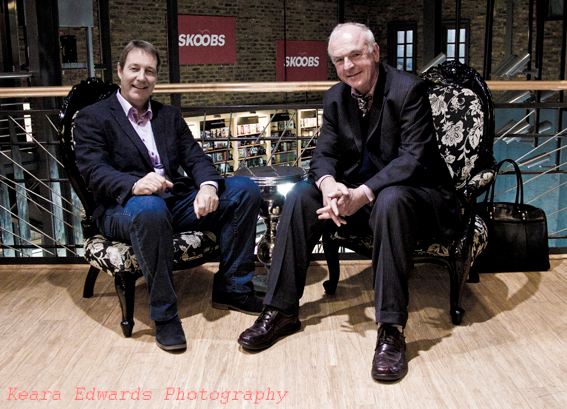 Many thanks to Michael, Clem, our friends in South Africa SG Distributors and Skoob Books for putting on such a great event. It certainly gives the girls and boys in Oxford something of a warm glow to see Infinite Ideas’ books making a splash globally. 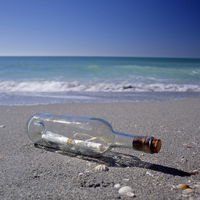 What prompts a publisher to choose one manuscript and reject another? How will he go about positioning a book in the market? And should you find yourself in the enviable position of receiving publishing offers from several companies, how do you decide which one is right for you? 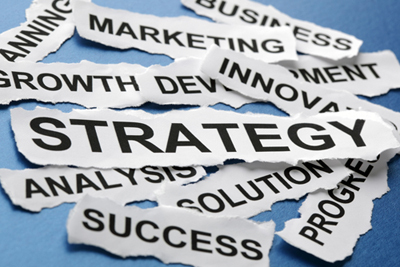 Most publishers specialise in subject areas or focus on particular channels. If you have written a book on the Peninsular War you would be much better off starting by approaching those companies that have strong military history lists rather than general trade publishers such as Random House or HarperCollins. Although these bigger publishing houses may well publish books similar to yours, you’ll notice that their authors are usually TV historians or celebrity academics. One of the first questions any publisher will ask you (if you’re lucky enough to get through to one) will be about your ‘platform’. If she is satisfied that the book is good enough to stamp with the publisher’s imprint she needs to know that you are marketable. She’ll want to know about your radio and TV experience, if you are media savvy, what sort of endorsements you can gather for the book (they have to be from people potential buyers may have heard of, not your proud mum! ), what your network is like, whether you have regular speaking engagements or other public gigs, organisations you consult to and so on. She needs to know that she can sell you and that you can sell your book. Some publishers have privileged access to a particular channel – gift book outlets for instance, or garden centres. A gift book publisher sells books mainly outside the traditional book trade but will publish a wide range of subjects provided they suit the gift book market. So there’s probably not much point approaching such a publisher with your Peninsular War proposal, but if you have written a book based on cute photographs of very hairy cats it may be that the gift book market is exactly where you can reach the widest audience. Some publishers do market a wide range of subjects to the general book trade. They tend to be operating under large imprints, but there are plenty of smaller, more approachable publishers covering a range as well. Infinite Ideas for example, publishes across a broad range of subject areas, from allergies to adventure sports, business to back pain, cellulite to cookbooks. A smaller general publisher like Infinite Ideas is more likely to be flexible to the needs of the author, although it is likely to be as rigorous in its selection of new titles as any of the big players. Smaller publishers also tend to focus on the chemistry between the author and the publisher, and won’t touch a new project if the relationship doesn’t feel right. That relationship is usually key to any successful publication and when it goes wrong the disruption can be severe. Big publishers have infrastructures that can absorb such tensions; smaller publishers don’t, so you may be surprised at the time a company like Infinite Ideas takes to feel you out. Here are some examples of how Infinite Ideas has worked with authors with quite different needs. Mary is a wealthy American with a quite startling family story that she wanted to tell. She had never written a book before but she secured some professional editorial help and her manuscript was beautifully presented. Mary was more interested in having a sophisticated and elegantly produced book than in reaching a mass market audience so Infinite Ideas invested heavily in design and production. They used a luxurious cream paper for the text and a high-quality coated paper to carry full colour illustrations and endpapers, and they commissioned a stunning cover design. The result was a riveting story in an outstanding package that was sold to a high-end US publisher who secured a glowing feature for the book on publication in the New York Times. Philip approached Infinite Ideas a couple of years ago after successfully selling his speaker training business. He had time at last to write the book of the course he had been delivering for so many years and he wanted it to be published by a high-quality imprint so that he could use the book to launch his new business – funnily enough a speaker training business. He had looked at self-publishing but had decided that the production quality was so terrible that it wouldn’t be able to support his new brand values. So, like Mary, he wanted a professionally produced book but he was asking the publisher to do a different job. He wanted distribution in the right places. He wasn’t particularly interested in selling books to Waterstone’s in Lincoln. He wanted distribution in places where his market was – Schiphol, Heathrow, Changi, London Victoria. The reps worked hard to secure the right distribution and within one month of publication Philip had won a £200,000 contract as a direct consequence of someone having bought his book (at Gatwick actually). Philip isn’t interested in royalties. He sees the book as marketing collateral and knows the real value of his book to him is in increased fees from clients. Chitterlings are a specialist offal restaurant in the Crawley area. When the owners approached Infinite Ideas they had a reputation for quality and they were hoping for a Michelin star. There were plans to open three more outlets, all with a strong offal flavour, including one in Belgium, called Faggots. As part of this launch the owners wanted a beautiful, high-quality cookbook that would position them as the Ottolenghi of entrails. Infinite Ideas had plenty of experience in this area, having published The People’s Cookbook by Anthony Worrall Thompson and Paul Rankin a couple of years previously. With all the media contacts still warm from this highly successful TV tie-in Infinite Ideas was able to give Chitterlings exactly the product and press exposure they needed. Your relationship with your publisher is very important. Find one you like if possible. It makes a big difference if the personal chemistry between you and your commissioning editor, particularly, is good. But you also need to work out what it is you want your book to do for you. 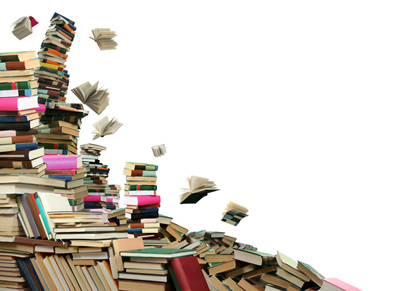 If you think you really have a mass-market paperback bestseller in you (sadly unlikely by the way) you need a publisher with enormous book trade muscle – Transworld, Random House, Penguin. If your needs are a bit more focused than that, you need a publisher who has the same focus as you do, who shares your vision for the book and who has the capability to deliver what you need. Getting published with a successful book publishing company is often considered to be as hard as writing the book in the first place. A lot of publishing companies will no longer accept unsolicited manuscripts. This means that they will not even open your book submission. The main route to acquiring a publishing deal is to secure a literary agent first. A literary agent should act as your mentor, friend and trusted partner looking after every aspect of the commercial and (if you are lucky) emotional business of being an author. That’s the good news; the bad news is that some say now that it is as hard to find an agent as it is a book publisher. Historically, the most trodden path of finding a literary agent is to contact them directly with a blind submission. A pretty full list of agents can be found in that fine tome The Writers’ and Artists’ Yearbook. If you are not aware of this publication, it is essentially a listing of all registered UK publishers and agents, including contact information and an idea of what kind of publishing they’re interested in – a very good place to start. Each listing should include specific submission guidelines. One of the best ways to secure a literary agent is to be introduced by one of their existing clients or through one of their publishing contacts. Unfortunately, this requires that you know a writer or someone at a publishing company. Generally speaking though, most friends and acquaintances are happy to help. Using a social network such as LinkedIn can be helpful in locating a contact within the publishing industry. Not everyone has friends within the publishing industry but that should not discourage you from making your own. One way of making useful contacts within publishing is to visit a book fair. There are three major book fairs taking place in Europe every year: the Frankfurt Book Fair in Germany, the London Book Fair in the United Kingdom and the Bologna Children’s Book Fair in Italy. The general public are allowed access to each of these fairs, usually for the last couple of days. Introducing yourself politely to publishers you admire and asking them to recommend an agent is a sure fire way to gain valuable introduction. Another way to find a like-minded literary agent is to make a list of authors that you respect and find out which agents represent them. Approaching an agent by stating your admiration for one of their authors is a great way to get their attention. By stating that their author has been a great influence on your work will instantly endear you to them and will hopefully open the door to their consideration of your own project. You’ve knocked on their doors; left messages on their voicemails; sent emails, InMails, texts and letters and haven’t heard a thing? Well if you can’t live with them than try to live without them. If you are still adamant about publishing your book with an established publisher it is still possible to secure a deal without having an agent. Although a lot of publishing houses will not accept unsolicited manuscripts, smaller niche houses will often consider a submission without an agent if the book is both clearly in their remit and the author has an established platform. The world of print has taken something of a pounding over the last few years. Just look at the newspaper industry and how it’s struggled to cope with the plethora of free news sites. E-book readers – especially Amazon’s Kindle – have changed the publishing landscape beyond recognition. A business model that has worked well for well over a hundred years has all but disintegrated. We’ve blogged before about the huge changes in the world of publishing and like most publishers, we upload e-book editions of our books on all the major platforms. A digital book is indeed an important way to disseminate knowledge. But we’ve always been of the opinion that a physical printed book creates the most impact. We’ve worked with established and new authors alike, bringing their books to market around the world, and over the years we’ve published a lot of books with business consultants. Our view has always been that a printed book offers a great way to promote a consulting business. 65% stated that being published gained them more clients. That’s quite compelling, and it supports some of our own anecdotal evidence (one of our authors gained a six figure consulting role as a result of his book being bought at an airport bookshop, another ended up as a speaker at the World Economic Forum at Davos two years in succession). A well published physical book is the best calling card a consultant can have. Books have a high perceived value and rarely get thrown away, so once they’ve been purchased by a reader, they tend to stay with the reader. A physical book without doubt establishes a consultant’s authority and can have a very positive effect on a business. If you’d like more information, either on the survey results or getting into print with Infinite Ideas, do get in touch.